Today is going to be a little bit different. I’d like to focus on a special feature I touched on briefly in the episode above. The Hi-Res Mode of the Olympus OM-D cameras. The Hi-Res Mode is a feature you will find in the Olympus OM-D E-M1 Mark II, E-M5 Mark II and the PEN-F. And it allows you to shoot an image of up to 80MP* with a much lower resolution sensor. *different camera models have different resolutions in Hi-Res mode. What is the Hi-Res Mode? The camera captures multiple images by shifting the sensor and then combining these images into one large, high-resolution RAW (or JPG) file. To understand how the high-resolution mode works, we first have to understand a little bit about how a camera sensor works. The following is a simplified explanation. I’m not a camera engineer, nor do I develop or build cameras, so I’ll do my best to explain how things work, without getting into too much detail about the things even I don’t fully understand. Photosites = Pixels on a modern camera. This isn’t always true, but for reason of simplification, we’ll assume this. In fact, photosites are the actual, physically present entity on a sensor. Pixels are an abstract construct, saved in memory. A sensor is made up of Photosites, not Pixels. 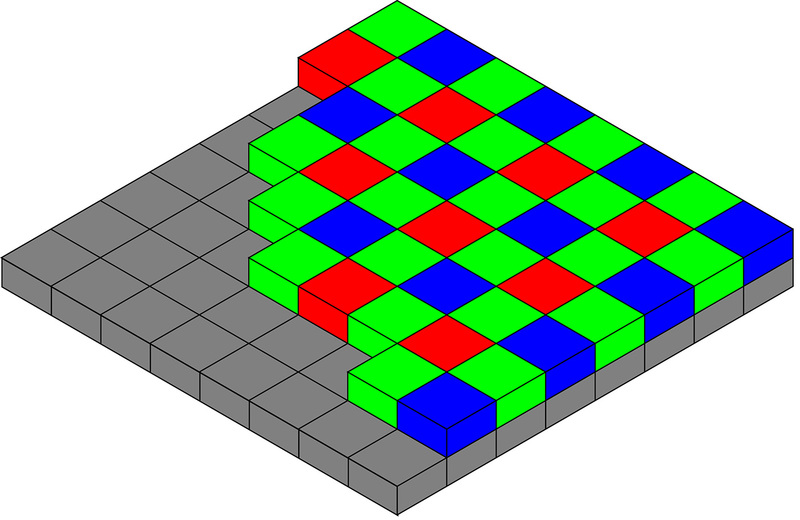 RGB – Red, Green, Blue – the 3 values that make up the final colour in a pixel. How does a digital camera sensor work? As light travels through the lens it will hit the sensor. A sensor is covered with tiny ‘filters that break down the light into Reds Greens and Blues. Behind each tiny filter are photosites. Photosites are the physical units that will respond to the incoming, filtered light and generate one of these RGB values into an electronic signal. 1 Photosite = Area of 1 Pixel. However, since a photosite only gathers either one Red, one Green OR one Blue value. In order to collect the other values the neighbouring R, G or B values are ‘borrowed’ (aka demosaicing) to make up the information needed to complete a pixel. So yes, in fact, a pixel only has ONE true colour value from its actual position, and then gets the remaining 2 values from neighbouring photo sites to complete the full RGB values it needs. FYI: The amount neighbouring values used to make up the missing data for each pixel depending on the camera and interpolation software used. In a RAW file, your RAW processor (i.e. 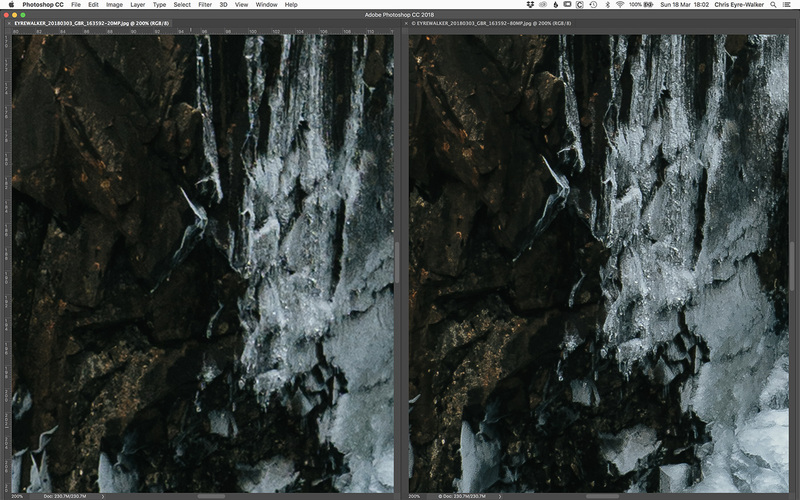 Adobe Lightroom) will do this process. In a JPG, the camera will do this process is called demosaicing. Regardless, the process of ‘borrowing’ can cause various issues like random noise & false colour, artefacts, soft edges etc. We can summarise that in a normal photo each Pixel’s colour information is only 33% accurate. And in fact, your image is being ‘upscaled and a pixel really only represents the one Red, Green or Blue value of its photosite, since the remaining two values are ‘borrowed’ and averaged. So, in fact, we can’t be 100% certain that the colour information is exactly correct for a pixel. BUT Olympus takes this feature one step further! It now shifts the sensor diagonally by exactly half a photosite horizontally and half a photosite vertically. So we end up exactly at the intersection of 4 original photosites. Then the camera repeats the 3 shifts (+1 to get back to the original spot) to create another image 100% accurate RGB values per photo site. We end with a total of 8 separate images, 4 in the first rotation + 4 in the second rotation (remember: the greens are doubled in each rotation). 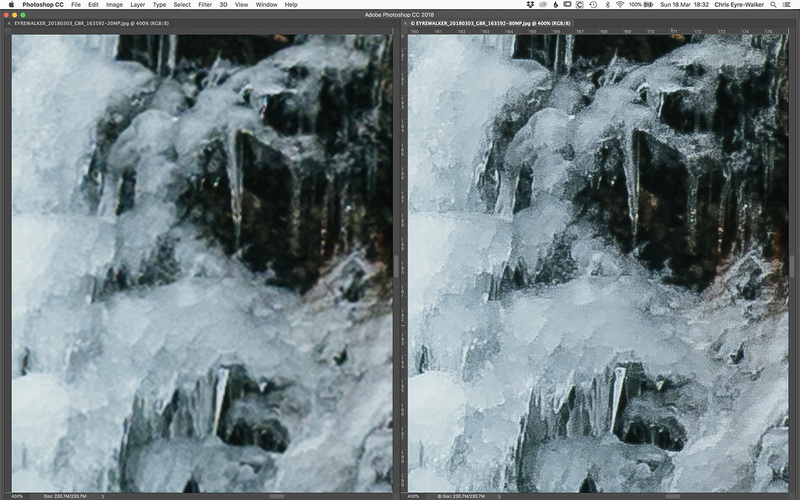 So, not only do we have a higher resolution image, we also get much better colour accuracy. Ultimately the result is a much cleaner shot. Less random noise and a lot more detail! Luckily Olympus is amazing at making good glass. So you don’t have to look far. I’d recommend the Hi-Res Mode with the M.Zuiko 12-100mm f/4 IS PRO and at around f/5.6. That’s where you’ll end up getting the sharpest results. I’ve also read that the Zuiko 50mm f/2 Macro lens is one of the sharpest lenses and that the Hi-Res mode will most likely work well with that lens too. Since the camera uses the motors that usually do the sensor stabilising to create a Hi-Res shot, You don’t get any sensor stabilisation when you’re shooting in Hi-Res mode. The camera can’t move during the process of taking a Hi-Res shot. So you have to shoot these shots with a tripod. A solid one! If the camera moves as little as half a pixel the shot won’t be sharp. Like every high-resolution camera, the higher the pixel count the easier it is to notice the difference between a slightly blurred shot and a sharp one. I always recommend taking a couple of shots to be sure to get at least one 100% sharp shot. So the E-M1 Mark II captures a ‘regular’ 20MP shot and will ‘patch up’ the areas that have artefacts that occur during the process of creating the Hi-Res shot. It’s a pretty neat fix and works well most of the time. You should understand that this feature is most likely still in its early stages. It’s a proof of concept and the limitations are things I’m sure Olympus is working on and I can’t wait to see how far they can take this feature in future cameras. It’s exciting to think that, in the future, we could possibly be shooting ultra-high-resolution shots with cameras as small and versatile as the OM-D series. In a studio environment it can truly be revolutionary. In the outdoors it really needs the right conditions and I highly recommend shooting multiple shots. I love the feature and it’s one of the many reasons why I think Olympus make amazing cameras. It shows innovation and ‘outside-the-box’ thinking. It seems like more and more camera manufacturers are copying this feature too, which, to me, shows that Olympus is doing something right here. Either way, it’s very exciting to see where they will take this feature in the future! https://www.imaging-resource.com/PRODS/olympus-e-m5-ii/olympus-e-m5-iiTECH2.HTM – great read full com comparison images with the Nikon D810 and PENTAX 645Z. CCD: The heart of a digital camera (how a charge-coupled device works) – great explanation how sensors work. Capturing Digital Images (The Bayer Filter) – Computerphile – how sensors the Bayer Matrix works. The Science of Camera Sensors – probably the most factual, correct and best explanation on the web on how sensors work. worth watching. Pretty amazing results, loved the explanation of it all too…now if only I could get my hands on an EM1 MK II! Have you used it much for surfing shots? If so, how’s the focus tracking for this? With its size and build and how well it seemed to go in the Faroes, I’d love to have one for the wild windy winters down in Vic! This hi-res function can be used for moving subjects? In general: no. As soon as you have moving objects you will see artefacts as the sensor captures multiple images and then merges them. 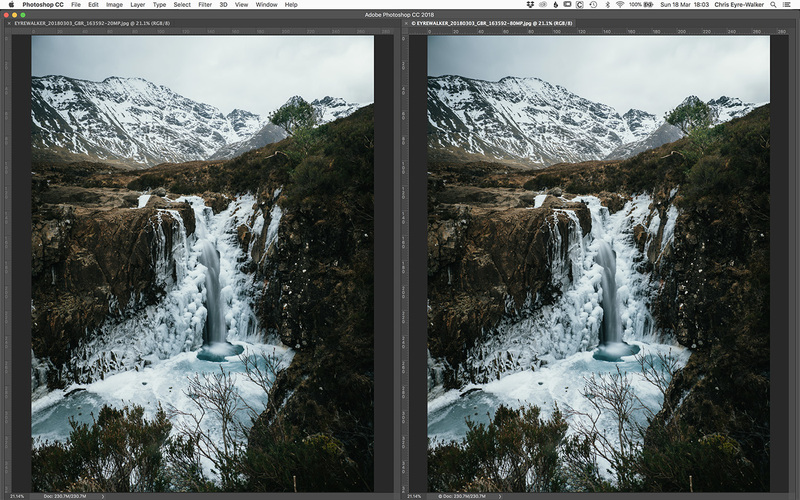 I’d really only recommend this feature for landscapes and long exposures. Thank you for the amazing article, very good read indeed. I’m relatively new to photography and EM1 Mark ii high-res function. I put it on tripod and normally use 2 seconds shutter delay to eliminate any possible camera shake during shutter button press. However, when I enable hi-res mode, it disables the shuttle delay function, so I couldn’t use it. 1. Is there any work around so that shutter release delay can be set when the camera in hi-res mode? 1. Yes. Inside the camera menu. Go to ‘Shooting Menu 2’ and select ‘Hi Res Shot’. Then you can select a delay, all the way up to 30 seconds. 2. I usually use my phone if I have to remote trigger my camera. It works perfectly. There is always the option to use a shutter release cable too of course. Very informative, concise, and clear! Excellent article, Chris! A question regarding the resolution of the RAW high-res image from the OM-D E-M1 mk ii. 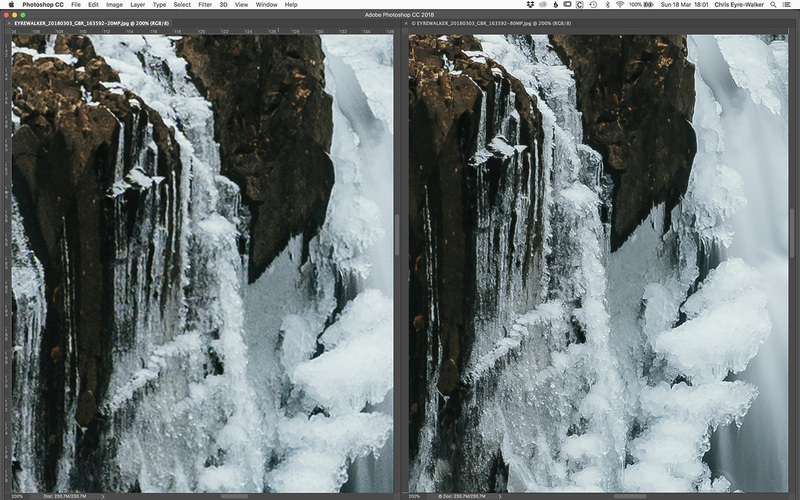 Can you confirm that the resolution of the resulting high-res RAW image is 80MP? According to Imaging Resource, the RAW image is 64MP. Yes, when shot in RAW the HiRes file is 80MP. (7776x10368px). The link you’re referencing is the E-M5 Mk II, this here is the E-M1 Mk II. 50mm macro? You mean 60mm? Actually, it’s the original 4/3 50mm macro. Not the micro 4/3. Yes it does work with studio lights. I believe you can set a delay on the E-M1 II between the shots for Hi-Res mode so the flashes can recharge. I haven’t tried this myself yet though. Does the E-M1 Mark II have exposure bracketing? 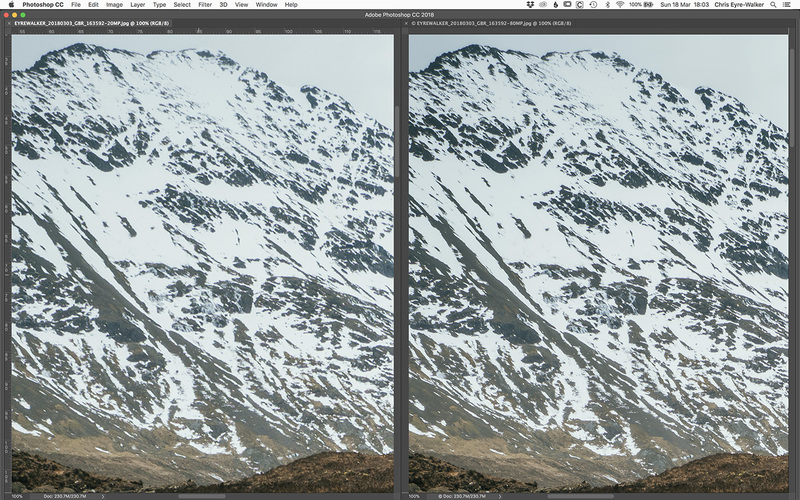 If so, can you do exposure bracketing in hi-res mode? Hi, Yes it does exposure bracketing. It can merge in inside the camera, or keep the RAW files for you to merge later. It’s not possible to do this in Hi-Res Mode though. I can’t think of many subjects that would require this since they have to be very static to achieve one Hi-Res shot to begin with… stacking multiple exposures would need the subject to be dead still for an even longer period of time! The only scenario where this could work is studio or product work. And usually, you have full control over the light anyway in these environments, so exposure bracketing isn’t really needed.